The industry is seeing more hack attempts than ever before so it's a good time to strengthen your passwords. We show you how. We also have some fantastic deals on HP and Targus to share with you. Our technical team is industry qualified, and is committed to assist you, whether you require proactive or reactive services on your organization's IT infrastructure or simply, your home pc, under rapid response times. 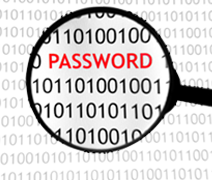 A simple password can be cracked by a professional hacker in only 0.02 seconds. We share some tips to help you protect yourself. 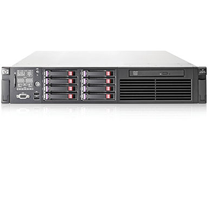 The HP ProLiant DL380 G7 is a powerful rack-mounted server for your business. We can offer you a fantastic price on this server and for a limited time you will also get a BONUS second processor and a $200 gift voucher thanks to PowerBuy, our deal partner. Limited units available so contact us now. 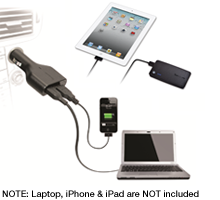 The Targus car charger keeps your laptop and tablet or smartphone charged while you drive. Not near a charger? Then plug in the Targus battery booster and get hours more battery life for your phone or tablet. This is the ideal bundle for your traveling staff, and now you can buy it from us for only $49. That's a saving of $120.90! (RRP $169.90). 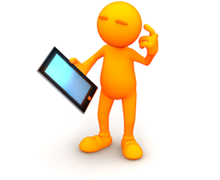 Choosing the right tablet can be tricky. Read our simple checklist of the 8 things that you should consider before you buy. How does your 2013 IT plan compare with other businesses? Please complete our 2-minute tech survey and we'll share the results with you. * Offers expire 28th February 2013 or while stocks last. Terms and Conditions apply. See www.powerbuy.com.au for details.